Bryant, P. (2008). Paper 5: understanding spaces and its representation in mathematics. In: T. Nunez, P. Bryant, & A. Watson (Eds. ), Key understanding in mathematics learning: a report to the nuffield foundation. Retrieved from http://www.nuffieldfoundation.org/sites/default/files/P5.pdf. Mainali, B. R. (2008). 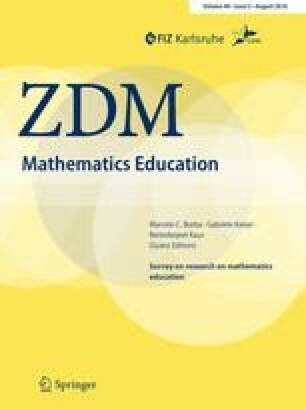 Comparison of traditional teaching and learning of reflection and rotation in a Nepalese high school with an ICT-rich, student-centered, guided discovery approach. (Masters), University of Amsterdam, Amsterdam, The Netherlands. Retrieved from http://www.scriptiesonline.uba.uva.nl/. Accessed 17 June 2016. Smith, J. T. (2010). Definitions and nondefinability in geometry. American Mathematical Monthly, 117(6), 475–489. doi: 10.4169/000298910X492781.